I'm Minty! I can't wait to be a part of someone's family! I'll be a great family dog because I will love to play and snuggle when it's nap time! 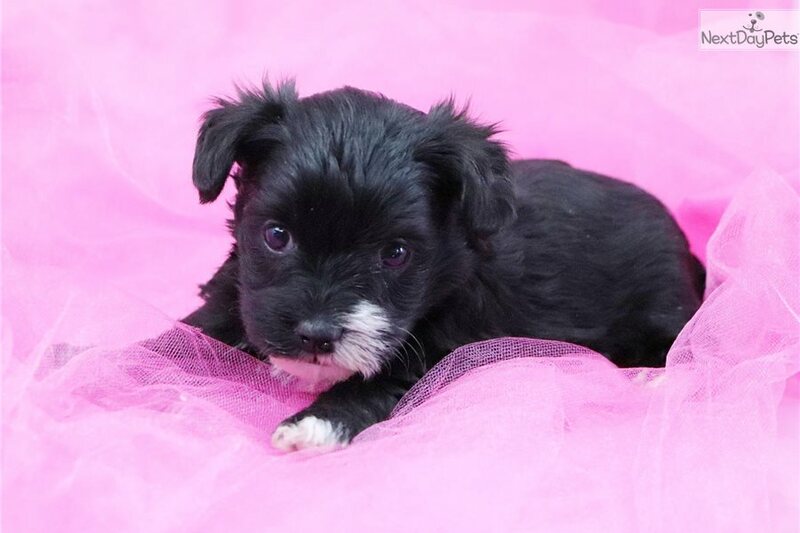 I am a cross between a Mini Poodle and a Mini Schnauzer, and I am expected to stay very small, only around 10 pounds! I have a precious black coat with white markings. Since my daddy is a poodle, I will be low-shedding and allergy friendly! Have comfort knowing you will be dealing directly with my Family Breeders, who are licensed and inspected. I am born and raised with them, until I go home with you. I am microchipped and come with a 10 Year Health Guarantee (ask about my daily vitamin program which keeps me happy and healthy). I also come Vet Checked and will be current with my vaccinations and worming’s before going home with you. I want to be a part of a family that I can adore and love! 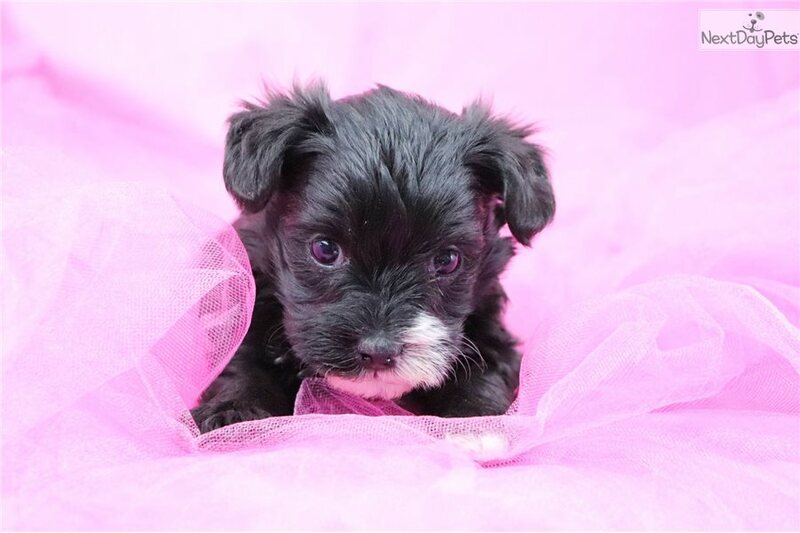 My adoption fee is $995, ask about my $200 deposit, my date of birth is 12/18/17. 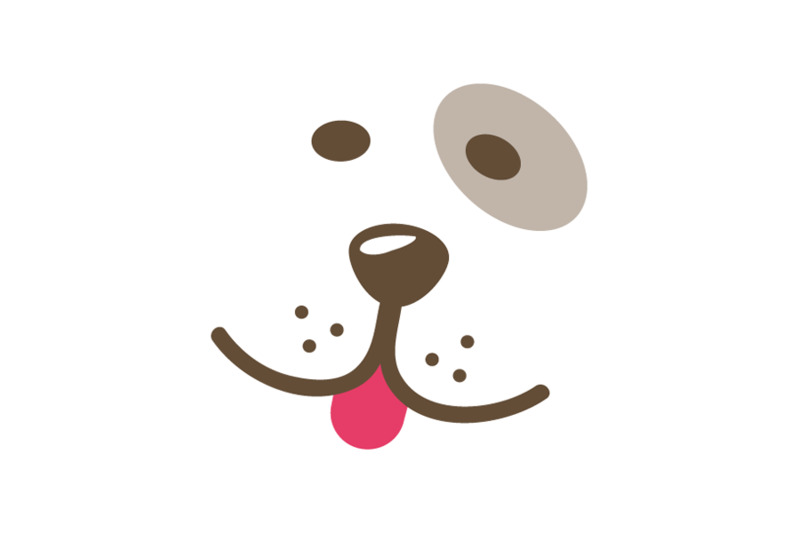 Text or call us today at 855-490-3964, or email info@happytailpups.com! 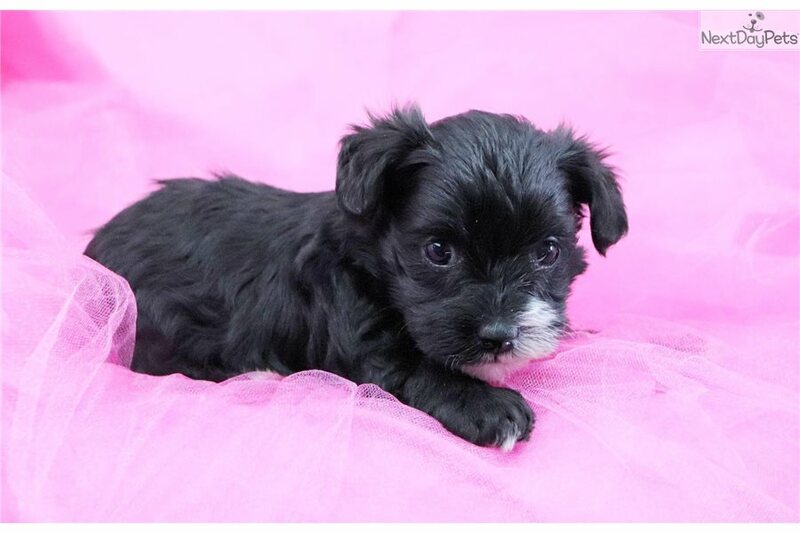 Visit us at happytailpuppies.com for more info! !